Mike McGarr, manager of developer productivity at Netflix, recently presented Better DexEx at Netflix: Polyglot and Containers at QCon New York 2018. 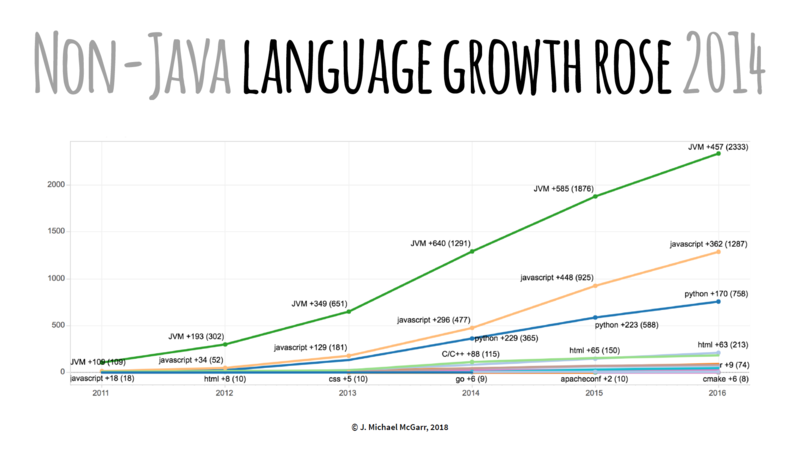 He described how Netflix evolved from operating as a Java shop to supporting developer tools built with multiple programming languages. This has ultimately provided a better development experience for software engineers. Through this transition, the engineering team made some amazing decisions and overcame some challenges in making this change. 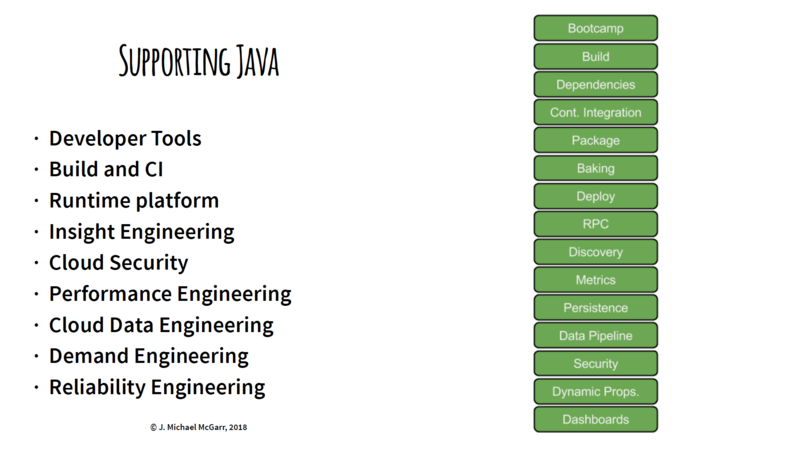 As shown below, centralized teams at Netflix built developer tools with Java to support their customers, that is, software engineers at Netflix. 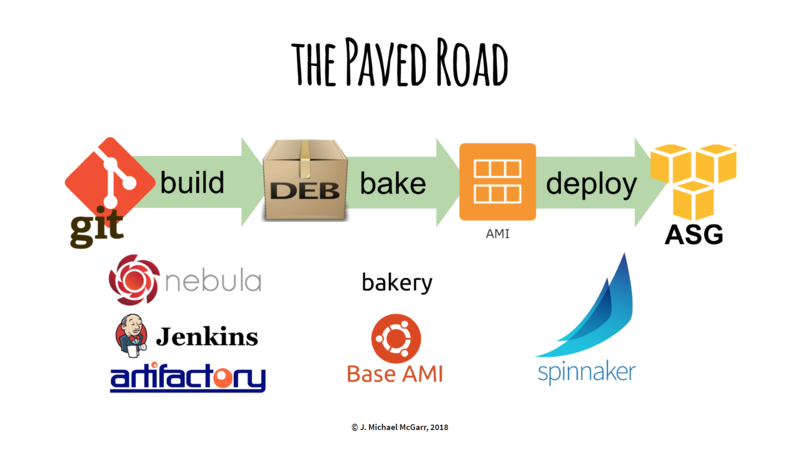 The "paved road" at Netflix is their standardized path to build code, "bake" to immutable servers, and deploy to Amazon Web Services. It incorporates build tools such as Gradle, Jenkins, Spinnaker, and home-grown Nebula. Netflix customers willing to follow this "paved road" will receive first-class support from Netflix. Nebula is a collection of Gradle plugins built for engineers at Netflix. The goal of Nebula is to simplify common build, release, testing and packaging tasks needed for projects at Netflix. In building Nebula, we realized that many of these tasks were common needs in the industry, and it was worth open sourcing them. OSPackage, a Nebula plugin, converts a Java application to a Debian package in preparation for the "baking" process. It's an important step within the "paved road" that has worked very well for Netflix. Newt, built with Google's Go programming language, is a new command-line developer workflow tool that satisfies the three requirements listed above. Netflix chose Go because it can compile a binary that is static (that is, no dependencies) and it can cross-compile to multiple operating system architectures. Newt was initially built for NodeJS developers and features a number of built-in command-line parameters, a few of which we examine here. The problem with using Nebula for non-Java developers wasn't so much the tool itself, but the experience of having to install and maintain and learn something outside the ecosystem. But OSPackage worked very well and it's used all the time. It's very well vetted. 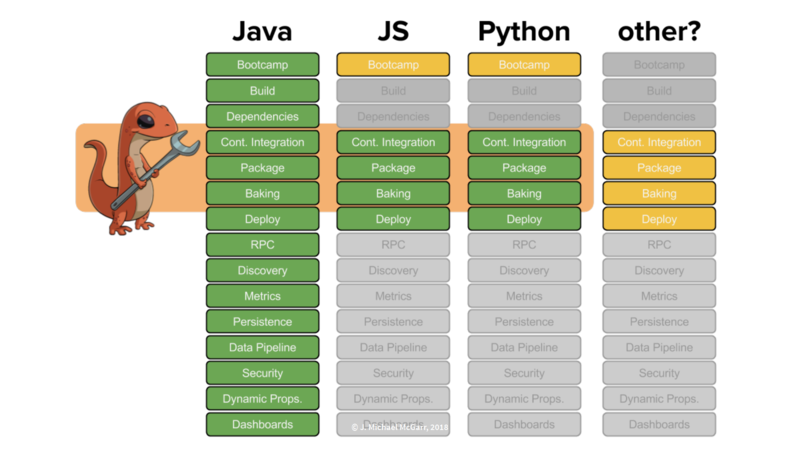 So the idea behind this was "let's throw it into a container," put Java, Gradle, and some build files in there, and distribute that container to all the developers. Whenever they want to run newt package, Newt will pull down that container, mount the local file system, run OSPackage inside the container and spit out a Debian. And they never have to touch Java. McGarr emphasized that this is one of the best uses for containers because they can be used as a tool distribution and reuse mechanism. NodeJS developers don't have to worry about installing Docker because the concept of Newt was to automatically configure a local workstation. newt setup is a self-configuration utility that checks a predefined list of dependencies and automatically installs and updates whatever is missing or outdated. It was designed to automatically run in the background when other Newt commands are called, but may be explicitly called as necessary. This will call the command, npm run-script build, which finds the NodeJS project, reads the package.json file, and executes code defined in the scripts section that contains the command, build. "build": "npm install && eslint src/** && npm test"
Newt has a very loose understanding of the world of build tools in that it's aware they exist and it can run them. Newt knows how to build a project without knowing how to build a project. If the developer decides to switch to webpack or something else, Newt basically just runs that script. Borrowing from a Ruby pattern, newt exec stores this version information in a special cache for use in the application. Newt also created an error reporting mechanism, newt report-error, to conveniently send error reports to the appropriate support staff. An app type may also be defined in a .newt.yml file. A number of predefined app types have been created within Netflix. The newt init command provides a complete list. Unlike Nebula, Newt is only available within Netflix. However, McGarr stated that requests from the outside developer community could make it possible to one day open source Newt. McGarr spoke to InfoQ about centralized teams at Netflix. InfoQ: What, in particular, is the most important aspect about Netflix application development that you would like to share with our readers? Mike McGarr: Our most important aspect with Netflix application development is our culture such that our customers are able to work with high trust and plenty of freedom and responsibility. Our managers provide context and do not control decisions. And we've found huge gains across the board with our customers. InfoQ: What are the prospects of Newt being open-sourced? McGarr: Only time will tell. We don't want to open-source Newt and "walk away." We need to evaluate the cost of internal versus external support and that would require additional resources to make that happen. InfoQ: What's on the horizon for Netflix application development? McGarr: We are continually looking for ways to improve the productivity and reduce cognitive load of our software engineers as they move through working with containers, cloud applications, agile processes, etc. This is a trend that I have noticed in other companies as well. McGarr: As an engineering manager, I need to ensure that we have the right people and the resources they need to be successful. I also recruit, both by reaching out to candidates, as well as building "marketing" material to talk about the work we are doing. I spend a lot of time meeting with other people at Netflix to collect information about what's going on, so I can provide context to my team. I focus on the "what" and the team provides the "how." This way, Netflix engineers have enough time to focus on flow.